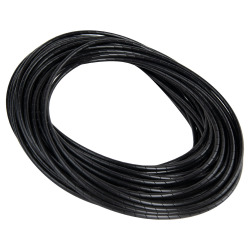 1" OD x .095" Wall Black Spiral Wrap with 1" to 7" Bundle Range | U.S. 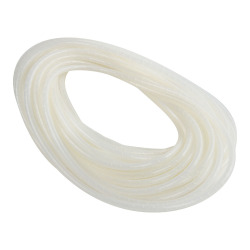 Plastic Corp.
Spiral wrap is an ideal covering used to bundle and protect tubing, wires and other types of conductors. Polyethylene is not affected by ordinary solvents and is resistant to abrasion. Polyethylene spiral wrap is easy to install, either during production or after final assembly. UV resistant black spiral wrap is designed for outdoor use. It has all of the fine qualities of natural spiral wrap with the additional advantage of containing an ultraviolet absorber that withstand direct sunlight for long periods of time. Sold in a 75' roll. Use on virtually any item with a diameter of 1/16" to 7"